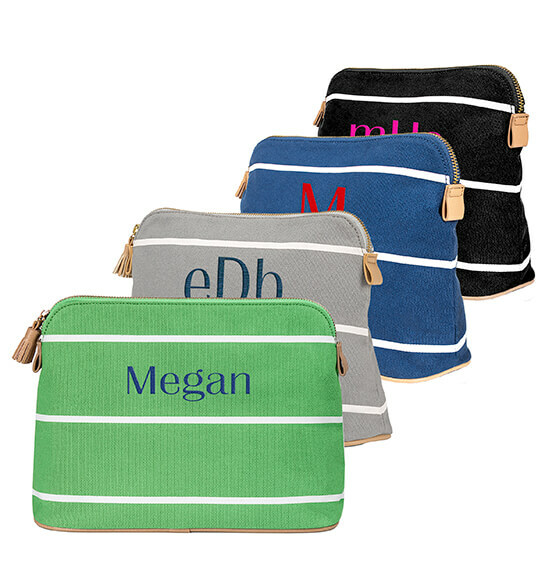 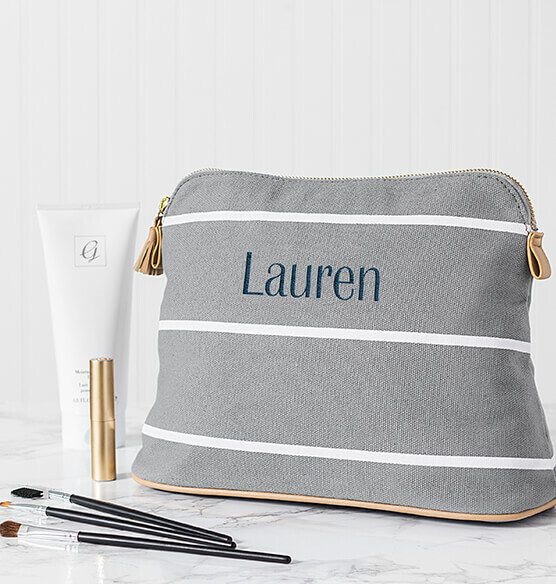 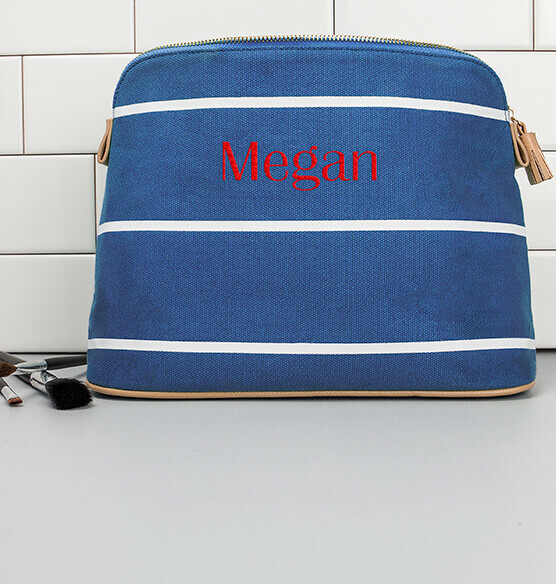 Our Personalized Striped Cosmetic Bag is a stylish case that can be used for anything from toiletry and makeup storage to safe and easy travel. 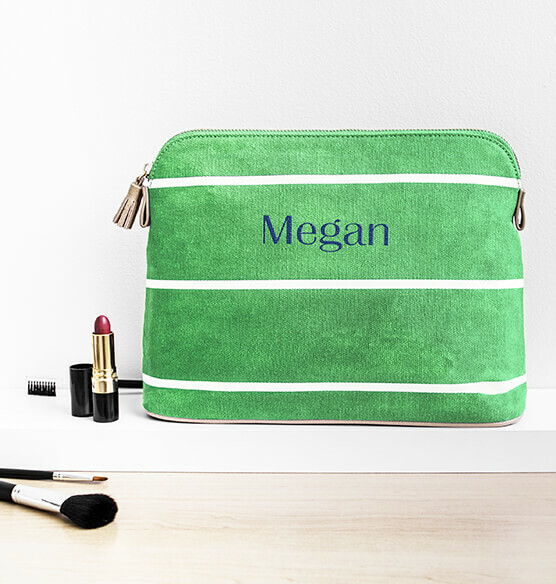 Fashioned with a sturdy canvas construction, this custom makeup bag features a wide, fully lined zipper top, a zippered inside pocket for separate storage, and a spacious interior for all your preening needs. 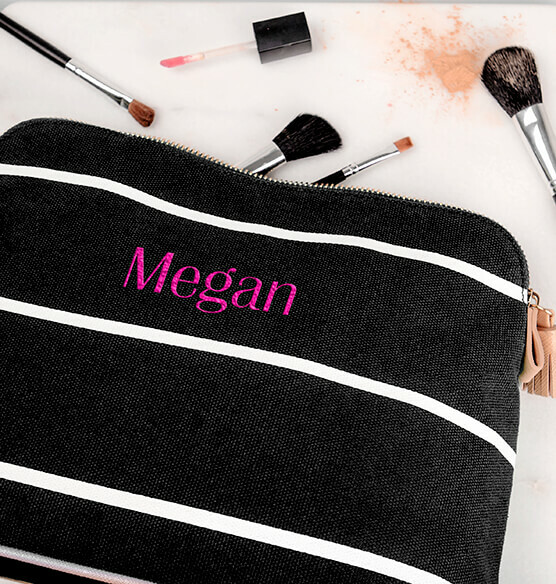 This Monogrammed cosmetic bag is great as a gift for any of your girlfriends or as a special treat for yourself.